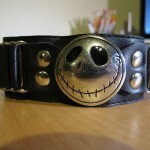 I make it pretty obvious that I’m an obsessed Nightmare Before Christmas fan. My coworkers recognize this and sometimes will bring me a Nightmare Before Christmas related item. Recently, one of my team members from work gave this wristband to me as a gift. She found it at a car show that was taking place in Burbank, California. The wristband is about 9 1/2″ long and 1 1/2″ high. 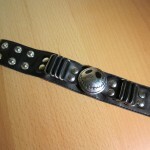 The black band is made of a leather-like material. 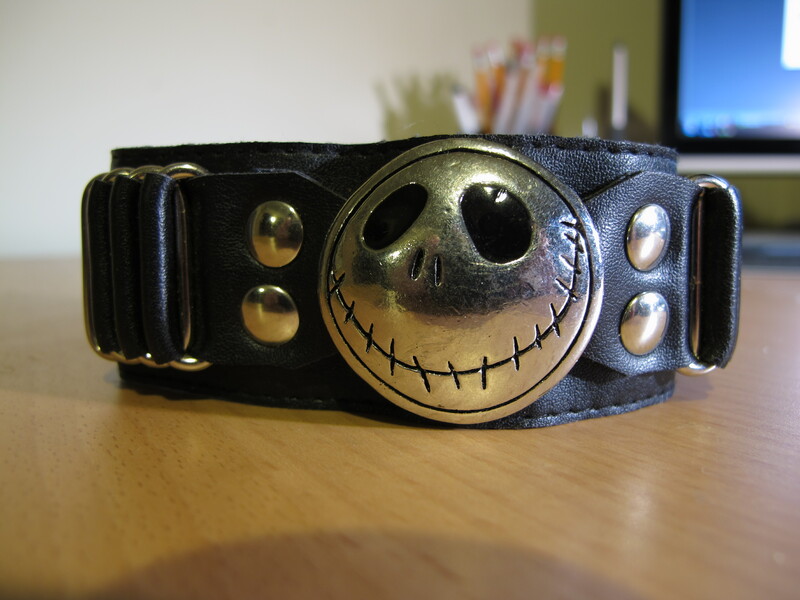 Jack’s face is carved out of a silver metal disc that is attached to the band. The carved areas are then painted black to fill out the outlines of his face. 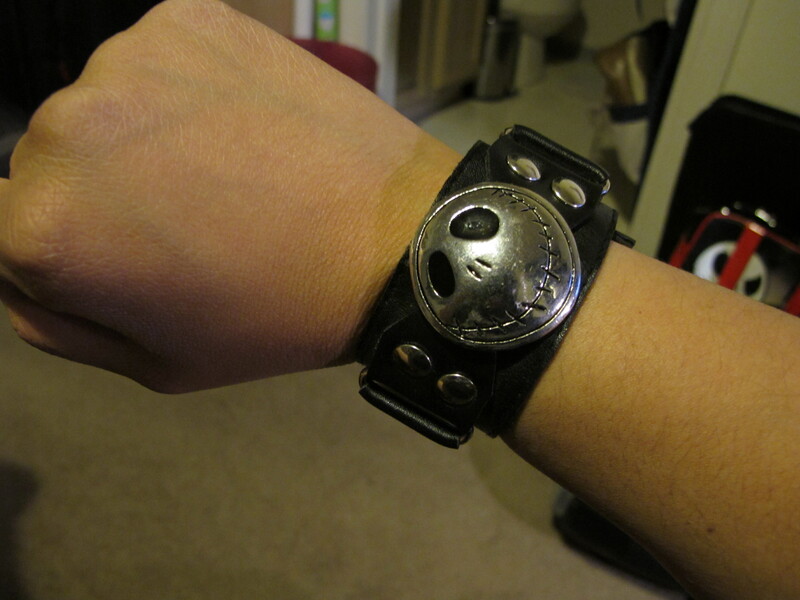 There are metal rings and buttons on the sides of the band. 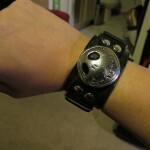 The writstband snaps in 3 different sizes so it can fit a varitey of wrist sizes: 7″, 7 1/2″, and 8″. 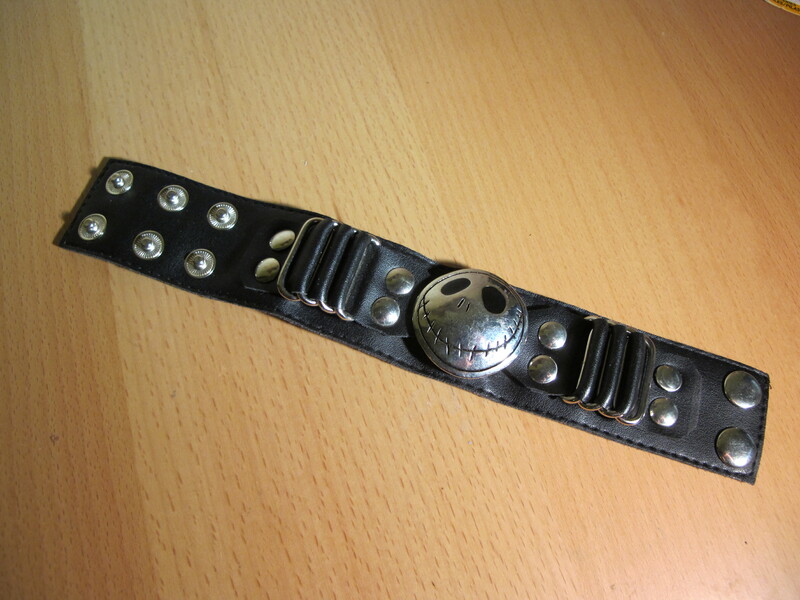 The wristband looks like a heavy metal wristband. It looks a lot heavier than it really is. It's pretty light. heavy metal as in Slayer, lightweight is good.